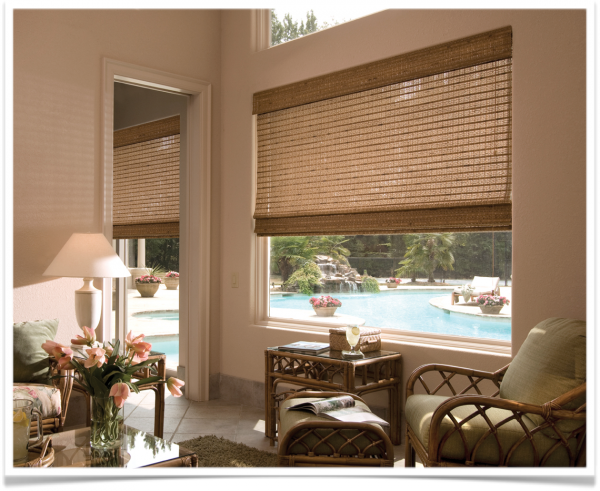 Woven wood shades and blinds are a gorgeous, natural-looking addition to any home. Environmentally friendly materials form the backbone of these highly functional window treatments. It’s common to see these blinds woven together with a natural fiber like cotton twine in colors ranging from soft beige tones all the way to dark, rich chocolaty browns.